XY Microscope Stages for Inverted Microscopes – OptiScan ES107 | EINST Technology Pte Ltd. 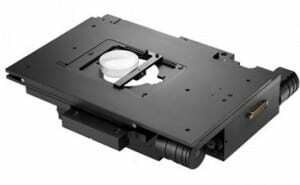 The ES107 OptiScan stage for inverted microscopes offers the optimum compromise between price and performance. 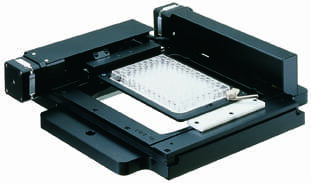 The ES107 has been designed to utilise the range of specimen holders from Prior’s ProScan stages. This enables examination of the widest range of specimen types including glass slides, multi-well plates, Petri-dishes and polished metallurgical samples. Requires the use of an OptiScan II or above controller and are based on Prior method of testing. *Using a Prior OptiScan TM controllers with backlash correction enabled, all repeatability is Uni-directional.